2015 was an exciting year of film music, filled with plenty of good, a bit of bad, and some chunks of “Meh.” Naturally, there’s lots to recognize, so here are my 2015 Awards. If you’re looking for traditional awards like “Best Score” and “Best (insert given genre) Score,” you’d do better with Callum’s 2015 awards. Here, you’ll find more offbeat awards to represent 2015 in a different light. So sit back, sip some tea, have a laugh, have a rage, call me names in the comments, question my judgement or your own, whatever you do when you read “Best of” lists and articles, and enjoy. We kick things off with the James Newton Howard Award, named after the man whose best work seems to come from subpar films (Lady in the Water, The Last Airbender, Maleficent). Though Taken 3 made a hefty sum at the box office, it was panned by critics. However, Mechaly turned in a surprisingly well-crafted and often emotional score to accompany Liam Neeson’s latest hijinks. Few could argue with the putridness of FIFA’s propaganda film United Passions, partially because it grossed a paltry $918 in the United States. That’s right, it didn’t even make back enough to pay for the catering. Despite this and a 0% Rotten Tomatoes rating, United Passions was blessed with a vibrant score from regular Desplat orchestrator Beintus. The typically excellent director Joe Wright turned out a flop with Pan, which, following negative test screenings, led to the replacement of Dario Marianelli’s score. Stepping in was John Powell, who delivered quality swashbuckling music on short notice. Adam Sandler’s video game/invasion/disaster failed to impress even his most loyal fans, though it inspired composer Henry Jackman, resulting in a soundtrack channeling both John Williams and Independence Day-era David Arnold. However, few movies in 2015 were as reviled and fewer scores to 2015 films of any quality were as good as Jupiter Ascending. I’m not sure what inspired Giacchino, but he can now check off “grand space opera score” from his to-do list. 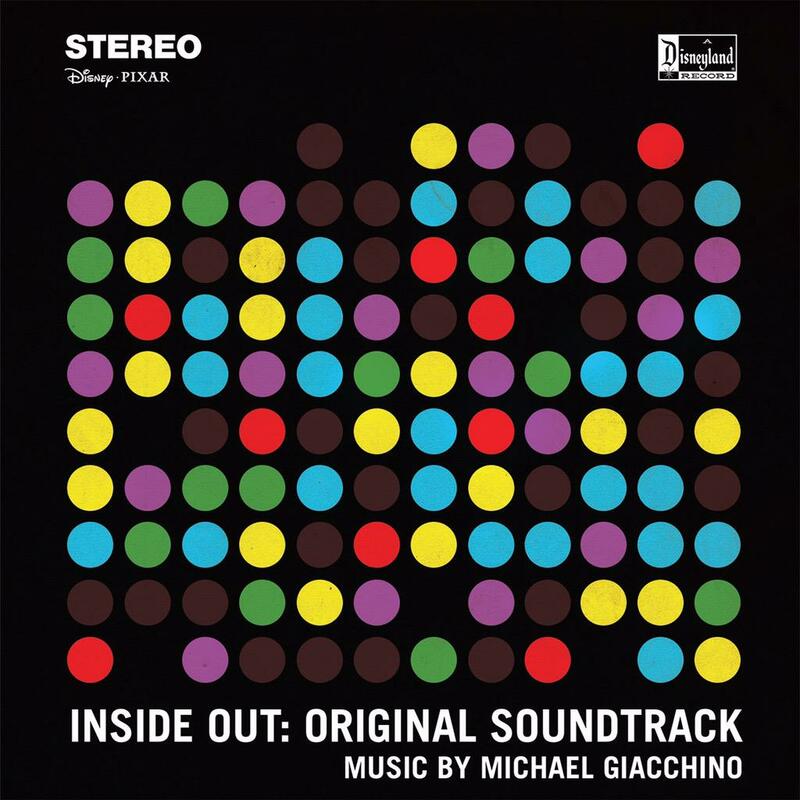 Giacchino seized the pole position for this award in mid-Dumpuary and held on to the end. The Best Blockbuster Score award is named after composer James Horner, who, at the time of this article’s writing, had scored the two highest grossing films in history. This year, Brian Tyler placed himself in a favorable position early on with two summer megablockbusters (can we have Godzilla fight Mecha-BlockBuster next? ), while Michael Giacchino managed to beat his competition (mostly himself in Tomorrowland and Inside Out) in Jurassic World’s massive success. Pereira is a surprise nominee, his Minions score a competent comedy entry. In the end, however, all must bow before the O.G. of blockbusters and blockbuster scores, Star Wars and John Williams. The Force Awakens snagged the title late in the year with another phenomenal entry from the ageless maestro. The spy genre had a plethora of films released this year, so much so that 007, the franchise that made Barry this award’s namesake, couldn’t even snag a nomination this year with Thomas Newman’s Spectre. Both Kingsman and Spy’s extensive parody/homage of the James Bond franchise extended into their music, Jackman, Margeson, and Shapiro all providing quality imitations of both David Arnold and John Barry’s contributions to the venerated spy franchise. Newman’s Bridge of Spies, based on real events during the Cold War, took a more grounded, solemn approach, but nonetheless featured a poignant conclusion brimming with Americana and Newman-isms. Pemberton’s U.N.C.L.E. and Kraemer’s Rogue Nation share a number of similarities. Both are based off of TV shows, both feature a retro 60s spy sound, and both have wickedly delightful use of percussion, including some inspired bass flute work on Pemberton’s part. However, Kraemer gets the edge for adapting two of Lalo Schifrin’s themes for the original show, as well as Puccini’s “Nessun Dorma,” into a fresh modern action score, resulting in arguably (and ironically) the ballsiest score of 2015. Period pieces is a vague subset of films, but still has certain conventions and stereotypes. One of these is generally good music. Rahman’s score for Muhammad employs Middle Eastern textures and a choir for an aptly grandiose and religious score about the Muslim prophet. Interestingly, it is the only nominee in this category that isn’t set in the 1800s. Meanwhile, Morricone returned to the Western genre for Quentin Tarantino’s The Hateful Eight, but sidestepped the spaghetti western sound he’s known for in favor of a more sinister, almost Hermann-esque thriller score, heavily emphasizing the low winds and percussion sections. The result is quite inspired. Velazquez’s seamless blend of conventional horror concepts with gothic romantic flavoring in Crimson Peak wonderfully aided director Guillermo del Toro’s ghost story. Doyle returned to the lush, wonderfully melodic sandbox of English period dramas where he made his name, crafting beautiful music (and several waltzes and polkas) for Cinderella. In the end, however, he was out English-ed, out period-ed, and out drama-ed by Craig Armstrong’s sweeping violin-driven score for Far From the Madding Crowd. At once dazzling and melancholy, Armstrong’s music is a force to be reckoned with. The sports film is one that frequently depends on the quality of the score for its own success. Both Howard and Horner’s scores utilized a strong electronic presence to explore darker themes in their respective films. Beintus’ United Passions brought energy and excitement to the soccer film (even though the executives were portrayed as the heroes). This award comes down to Paesano’s My All-American, and Goransson’s Creed. In the former, Paesano channels Jerry Goldsmith’s classics (namely Rudy and Hoosiers) for a heroic, almost noble Americana sound. In the latter, Goransson’s infusion of R&B into Bill Conti’s established sound for the franchise gave Creed a modern, gritty atmosphere that proved just as inspirational. I give the edge to Creed, though it’s virtually a tossup, and there’s no analytical basis for the decision; I just like one a little more than the other. 2015 was filled with an unusually high number of prolific composer collaborations. It was kicked off by Barr and Edelman’s team-up on The Boy Next Door, billed by shameless advertisers as an “historic collaboration,” though it turned out to be a fairly standard suspense/thriller score. Beltrami and minimalist icon Philip Glass formed quite the odd couple for Fantastic Four, resulting in a competent superhero soundtrack featuring both of their sensibilities. Earning another nomination here is Kingsman with its espionage bravura. In the end, two multi-composer efforts stood above the rest. Brian Tyler and Danny Elfman, two of the most prolific composers for the superhero genre, combined efforts for an excellent score to Age of Ultron. In a way, it’s poetic that a superhero team-up film should warrant the ultimate composer team-up. While Tyler and Elfman’s work was fantastic, each composer’s music was created entirely independent of the other’s. Thus, the LEBR Award goes to The Little Prince. Hans Zimmer, no stranger to the collaborative process, joined forces with longtime friend Richard Harvey for the French animated film. Zimmer focused primarily on developing several songs, while Harvey integrated the songs into the orchestral score, resulting in a quite charming end product. Named, of course, after the recent Broadway hit musical, the Hamilton Award recognizes an up and coming composer who displays a relentless work ethic. Pemberton arrived on the scene with two excellent scores for The Man from U.N.C.L.E. and Steve Jobs, while Holkenborg delivered four scores, including one for the critically acclaimed Mad Max: Fury Road as well as a somber score for the crime drama Black Mass. But Balfe takes the cake, penning a whopping 12 scores during 2015 for a wide variety of films with a wide variety of qualities, including the surprise Dreamworks hit Home and a late replacement score for Terminator: Genysis. Ironically named after Kanye West’s most recent album, which didn’t have a cover, the Yeezus Award goes to the score that also remembered that some people pick things up based on the cover art. In a time when many covers are mere cropping and rearrangement of the poster art, I feel this is something worth cherishing. Inside Out and The Force Awakens both earn kudos for their simple, throwback styles. The former displays an array of memories, each with a different emotion, while also emulating the style of a 50s jazz record. The Force Awakens simply displays the film’s logo over a star field, a nice nod to the cover art of the original Star Wars soundtrack album from 1977. The cover of Wolf Totem conveys the beauty, elegance, and majesty of Horner’s score with its landscape image of a wolf on a rock formation. 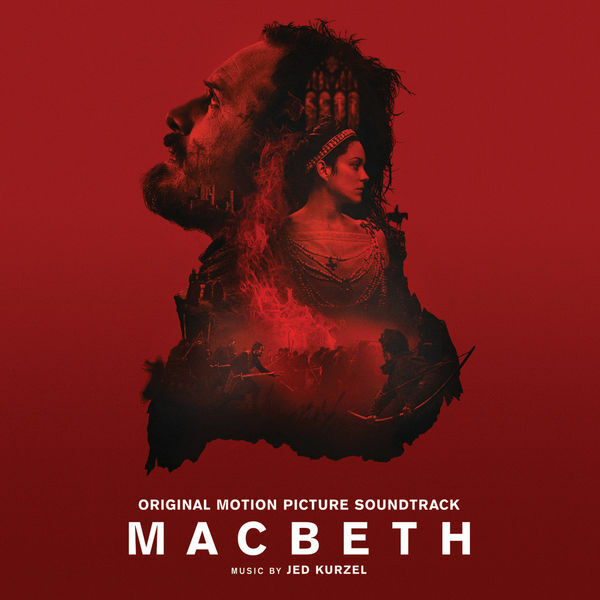 Macbeth may be the cleverest of the bunch, arranging a number of its lead actors into an outline of Scotland, set against a blood red backdrop. The Revenant, however, wins on the strength of a beautiful font combined with a stunning, high-contrast image of stark desolation. 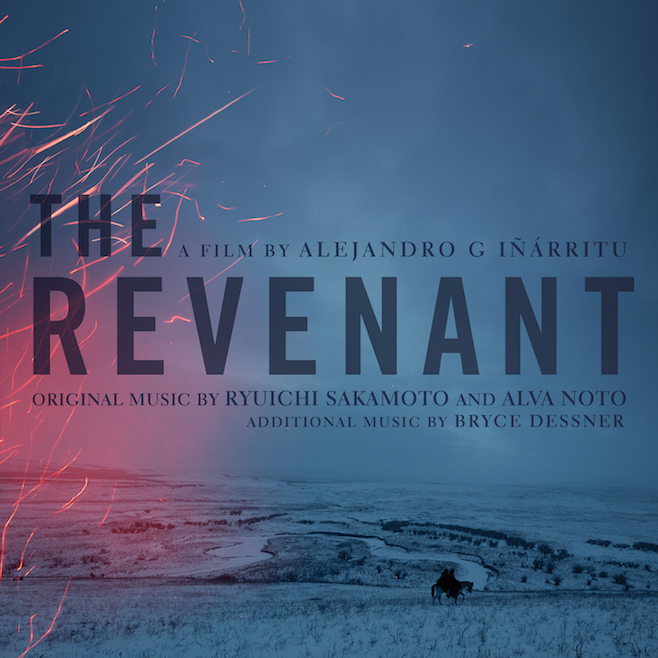 Ironically, the score, by Ryuichi Sakamoto, Alva Noto, and Bryce Dessner, is among my least favorite of 2015. But that cover raised my expectations before I started actually listening to it. I want to take a moment to recognize music from films that flew under most people’s radar, some of which is among the very best of 2015. The main criteria is whether the film received a wide release in the United States. If not, it’s likely that many of you haven’t even heard of these films, let alone the music. James Horner, better known for a variety of high-profile films throughout his career, began to work on smaller projects before his tragic death in 2015, thus resulting in nominations for the uplifting The 33 and the majestically beautiful Wolf Totem, the latter of which takes the prize here. Also nominated were Glasgow’s wonderfully creepy score for the low-budget horror film Secrets of a Psychopath and Robert Gulya’s folksy adventure music for an adaptation of Mark Twain’s beloved novels. Following a long hiatus, Australian composer Westlake for a flighty and occasionally Powell-esque soundtrack for Paper Planes (no M.I.A. 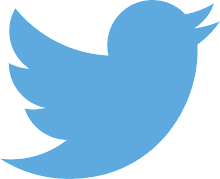 to be found here).